Barr was appearing before a House of Representatives appropriations subcommittee meant to explore the Trump administration’s $29 billion US fiscal 2020 budget request for the Justice Department, but the expectation that Barr would face questions about Mueller’s report from the Democrat-led panel was borne out early in the proceedings. 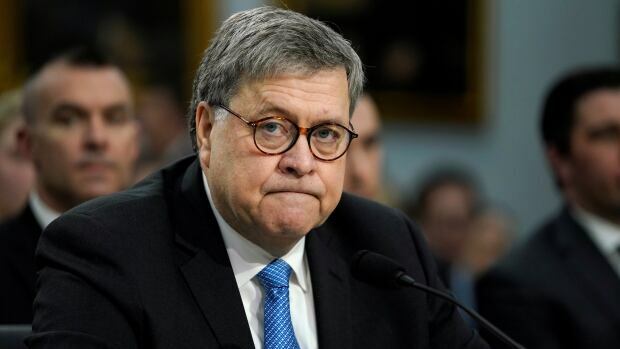 “Within a week I will be in position to release that report to the public and then I will engage with the chairmen of both [House and Senate] judiciary committees about that report, about any further requests that they have,” said Barr. On March 22, Mueller turned over to Barr his confidential report into whether Donald Trump and his campaign and transition teams may have conspired with Russia during his 2016 presidential campaign and whether Trump later obstructed inquiries into the matter. On March 24, Barr released a four-page letter to Congress laying out what he said were Mueller’s main findings. Trump has used Barr’s statements to claim complete exoneration. Barr testified on Tuesday that Mueller was offered the opportunity to review that summary but declined. He said the redactions of the full report were necessary so that intelligence sources and methods or ongoing prosecutions would not be compromised. Democrats have called for the report to be released in full. They have said they want to review the underlying evidence after Barr in his letter said that Mueller’s investigation did not establish collusion with Russia. Many lawmakers were irked that Barr took it upon himself to decide that Trump should not be charged with obstruction of justice after saying Mueller’s report laid out evidence “on both sides” of the question without reaching a conclusion. New York Democrat NitaLowey said Tuesday she thought it was “extraordinary” that Barr was able to make definitive conclusions in his letter, just two days after Mueller handed in his findings of a 22-month investigation. “I would argue it’s more suspicious than impressive,” said Lowey. The New York Times and the Washington Post have since reported that some investigators on Mueller’s team were unhappy with the way Barr described their findings. In fact, some of the evidence against Trump was more damning than Barr’s letter indicated, according to the news reports. Barr’s opening statement, released to the media on Monday, made no mention of the Mueller report. House Republicans early on indicated they were keen to explore America’s opioid crisis and security on the border. Barr avoided using the word “wall,” but said he was in favour of a “barrier system” to better allow for drug interdiction and combating human trafficking. Republicans also asked about the FISA (Foreign Intelligence Surveillance Act) process, which some in the party believe improperly sparked inquiries into Trump campaign dealings with Russia. Barr was generally tight-lipped but said an inspector general of the Justice Department is preparing a report on the FISA process, which he said was expected to land in May or June.